This Sunday our guest programmer series, CFA Crashers, returns with selections from Lavon Nicole Pettis. Lavon’s program consists entirely of Chicago-made films that reflect her strong interest in art and community. She chose the Black Cinema House to present her film selections, which include a documentary on acclaimed Chicago sculptor, Richard Hunt, as well as a documentary on inspiring poet, teacher, and Chicagoan, Gwendolyn Brooks. 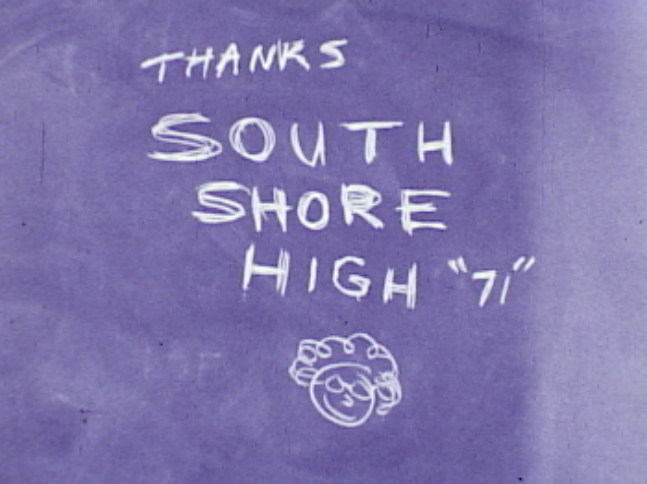 Filling out the program is Game - a student film made by South Shore High School students in the early 1970′s and Super 8 home movies shot on the near-west side by Chicago artist & muralist, Don McIllvaine. The program will end with a trailer of the upcoming documentary Chronicles of Summer: Childhood in South Shore, which Lavon is producing with director Ife Olatunji. I wanted to take some space in our blog to discuss one of these films – Game – in greater detail. 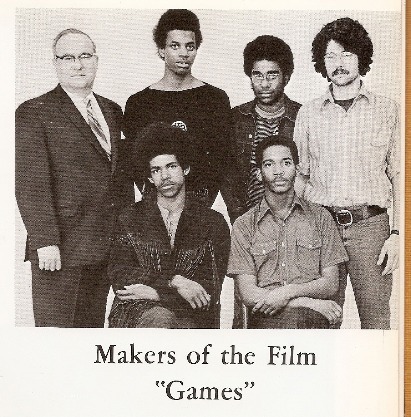 Game was made in 1972 by South Shore High School (aka South Shore International College Preparatory High School) students under the leadership of photography instructor, Jerry Aronson. The film is an allegory on the wastefulness of war and the duplicity of those who wage it. Filmmaker Wayne Williams, who was 17 at the time, cuts back and forth between a chess game and a guerrilla theater war game to underscore the sense of importance of the fighters and the cynicism of those who control their lives and deaths. 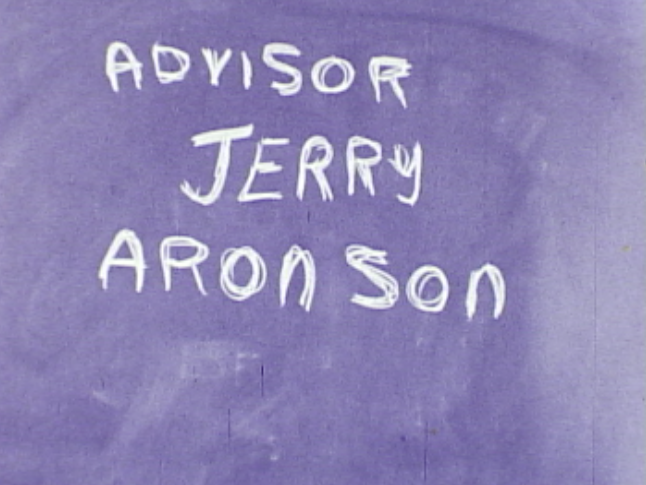 Jerry Aronson – mentor, instructor, filmmaker and subject of the best faculty yearbook photo I’ve ever seen (below)- encouraged and made the production possible. 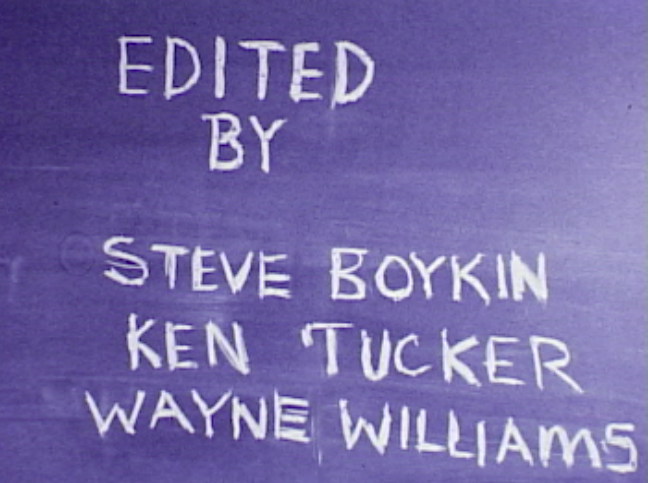 It was made with Aronson’s personal Bolex and lights and was shot in one afternoon at South Shore High School. This school is only a few blocks from the Black Cinema House, adding further significance to this Sunday’s venue. Since 2004, CFA staff and volunteers have discovered rare prints and oddities (the good kind) within the Chicago Public Library collection, including many with local ties. These include children’s films, documentaries, industrial films and sixteen student-made films affiliated with the library’s short-lived Young Chicago Filmmakers competition. These sixteen student films, including Game, were found either individually in cans or compiled onto larger reels. Most are unique or one of kind and have therefore gained processing priority at CFA. All have been carefully hand inspected, placed onto cores and into archival cans, digitized, cataloged and are available for streaming on CFA’s website. So how exactly did these student film festival films enter the library collection? Unfortunately we are left to speculation. A Chicago Tribune article suggests winning films were accessioned into the library’s collection, while a recent interview with a former CPL Audiovisual Center librarian revealed that these films were just simply not retrieved by the filmmakers and never intended to be accessioned. 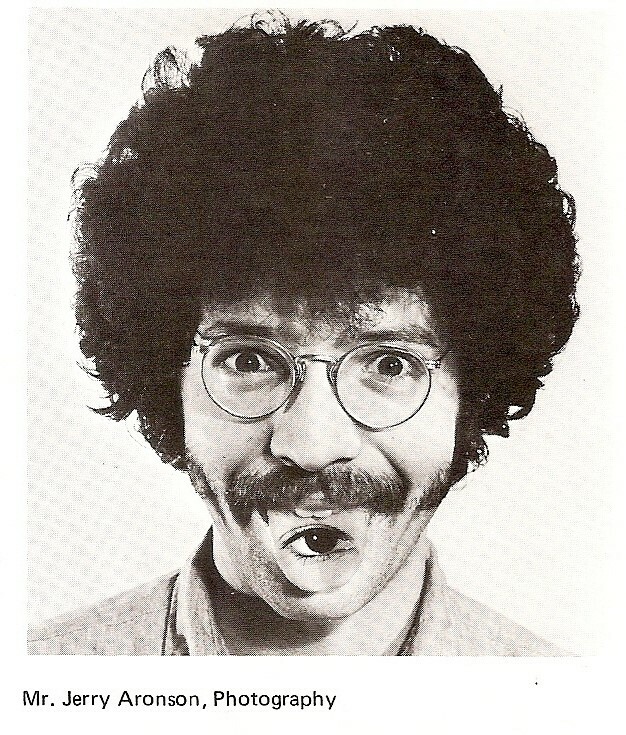 The later account proves to be more likely, as no library catalog records exist for any of these films. It is also possible that these films were placed on reserve and only available for on-site viewing within the library. We are genuinely so happy that Lavon has chosen to screen Game as part of her program, especially given the geographical significance or close proximity of production and exhibition sites. We’ll be screening our original print of Game along with other 16mm films and a handful of Super 8mm home movies from our Don McIllvaine Collection…hope to see you there! Doors open at 3:30pm. Seating is limited, so we ask that attendees RSVP in advance here. Please note that we cannot guarantee seats for attendees who do not RSVP. And while I have your attention…we’re also looking for any contact information for those involved with the production of The Game. 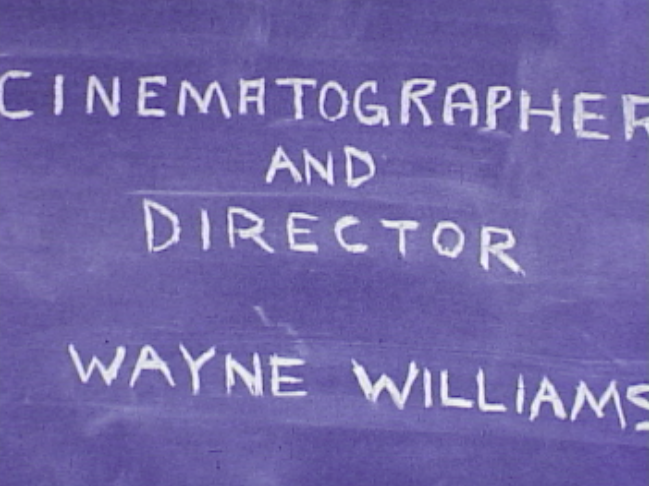 We have recently learned from Jerry Aronson that filmmaker, Wayne Williams, has unfortunately passed away. If any one has any leads for those involved (credits below), please don’t hesitate to get in touch –> anne [at] chicagofilmarchives.org …thanks!